A good start of your diving holiday! Before participating in new activities this is the perfect way to get to know us and for us to get to know you. After refreshing your skills join us for a day of fun diving from the Boat or Beach and explore one of our amazing dive sites. Is it a while ago since you made your last dive? Join us for a refresh course and get the confidence back. After a half day course you feel refreshed and are ready to join one of our other programmes. Once your skills are refreshed we will use the rest of our time to explore the underwater world. 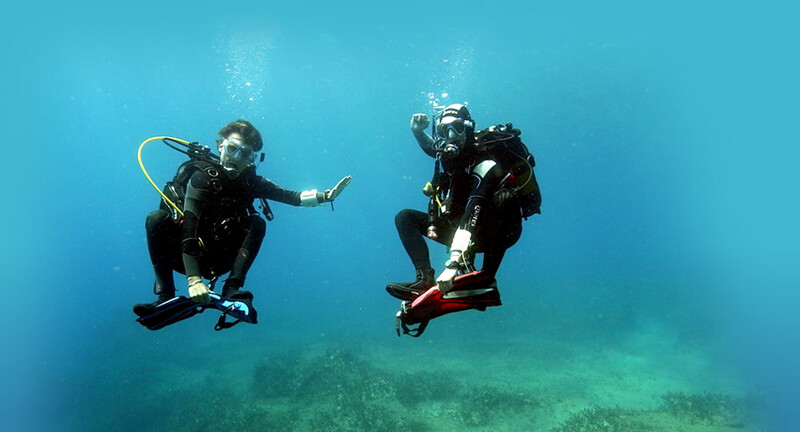 Your instructor will show you the beauty of diving on Crete and make sure you have a safe and comfortable dive.